SBI or State Bank of India is offering a zero balance account – or a bank account that doesn’t require any particular minimum balance to be maintained each month – under a limited-period scheme. Called ‘Insta Savings Account’, this SBI savings account can be opened instantly through mobile app YONO. This was said by SBI on microblogging site Twitter. The offer, requiring “no minimum balance”, can be availed till August 31, 2018, India’s largest bank SBI said. SBI will not charge a penalty for failing to maintain minimum balance in an Insta Savings Account till August 2018. “No Charges for non-maintenance of minimum balance up to August 2018,” it said on the YONO website.. SBI currently offers several types of bank accounts that also don’t require any minimum balance to be maintained every month, such as basic savings bank deposit or BSBD account. Insta Savings Account supports annual transactions up to Rs. 2 lakh, according to SBI. 1. What is Insta Savings Account or YONO account? Insta Savings Account is a bank account that is opened and operated through mobile app YONO. This savings bank account can be used to perform common bank account tasks such as balance check, bill payment, money transfer and automatic payments, according to mobile app YONO’s website – yonosbi.com. 2. An Insta Savings Account can be opened in paperless mode, which means a YONO user can apply for this type of account without visiting a bank branch, according to SBI. 3. The Insta Savings Account comes with an “instant account activation” facility. Other than Insta Savings Account, mobile app YONO also provides Digital Savings Account. Whereas the Digital Savings Account requires the account holder to visit a bank branch once, the Insta Savings Account doesn’t have this requirement. 4. 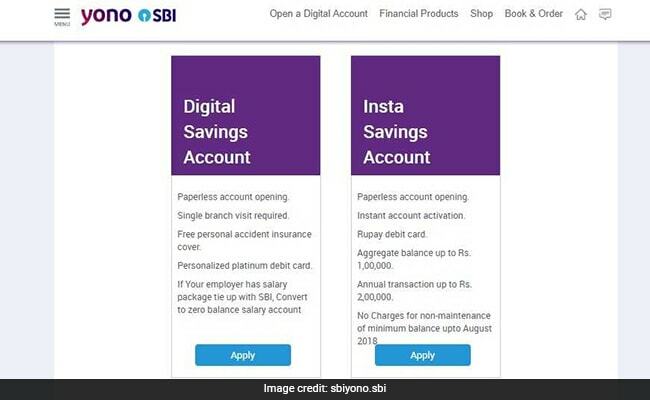 How to withdraw money from Insta Savings Account: SBI’s Insta Savings Account comes with a RuPay debit card. RuPay is a plastic money scheme provided by the National Payments Corporation of India, the umbrella organisation for all retail payment systems in the country. 5. 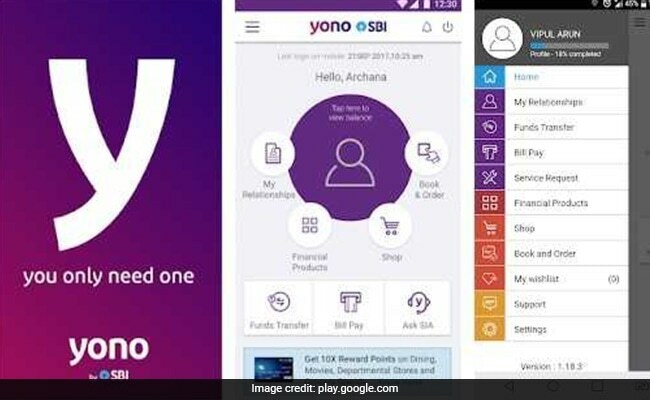 App for new and existing SBI customers: A user of mobile app YONO can apply for an SBI Insta Savings Account by entering his or her Aadhaar and PAN card details. Existing SBI customers who have subscribed to the bank’s internet banking facility can also access their account via YONO. SBI customers not having their internet banking credentials can generate a temporary internet banking password using their debit card, according to SBI. For its savings bank accounts, SBI has prescribed monthly average balance (MAB) – the minimum balance average that needs to be maintained in the account every month to avoid penalty – depending on the type of branch. SBI savings bank account holders in metro or urban branches are required to maintain a monthly average balance of Rs. 3,000. Those holding savings bank accounts in semi-urban and rural branches are required to maintain Rs.2,000 and Rs. 1,000 as average monthly balance respectively. Previous story How These Normal People Are Making Money From The Internet?